The Buffalo Bills begin what will be a very tough schedule in 2018 by heading to east to face the Baltimore Ravens on their home turf. Find a pundit, any pundit, and they all predict the same: pain. So what are some things to look out for this week? What match-ups are important? Here we go. Can the Bills take advantage of Jimmy Smith’s absence? Ravens cornerback Jimmy Smith is one of the league’s best. Unfortunately for he and the purple birds, he’s suspended and will miss week one. Huzzah, right? Only if Kelvin Benjamin and the very questionable Bills receiving corps can take advantage. With Benjamin being the top receiver, the job of covering him likely falls on the shoulders of Brandon Carr. Carr is a physical veteran and probably the best-suited corner on the roster to handle Benjamin. Look for at least a few jump balls in hopes that Benjamin can win those one-on-one battles and make a very good Raven defense pay. What can the Bills offense expect to do? That is the trillion dollar question and, unless something goes drastically different from predictions, the answer will likely be “not much.” Yes, LeSean McCoy is back and has eight consecutive 1,100 yard seasons under his belt. But he’s 30-years-old and expected to be the workhorse of this offense. It goes without saying how well running backs his age typically fair, let alone ones who touch the ball as much. If Shady can’t get going and establish the Bills with a sound running game, then the offensive game plan falls on quarterback Nathan Peterman, he of two career starts and that ugly game against San Diego we don’t even need to mention. 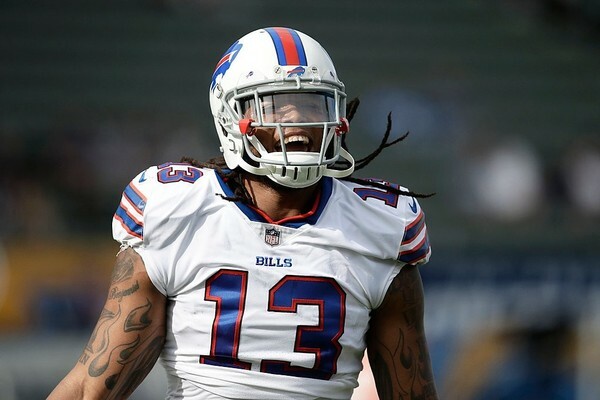 With nothing but question marks at receiver and an offensive line that hasn’t exactly exceeded already low expectations, things aren’t shaping up strongly for the Buffalo offense. A slow start and an inability to keep defenders out of Peterman’s face could lead to a very long afternoon. 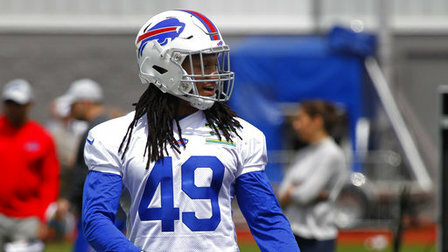 Tremaine Edmunds. There are already questions about the future in Baltimore for incumbent quarterback Joe Flacco and a strong performance from the Bills defense will only make those questions linger longer. The question will be if the run game has truly been shored up. The transition to Alex Collins in the backfield is something of an uncertainty, but if the Bills can take away balance from Baltimore’s offense, they can put themselves in a position to force Flacco into some mistakes. So what’s the damage? On paper, the Bills are just too flawed offensively. Even if McCoy is his usual self, the offense will still likely struggle to do anything in the passing game other than checkdowns. Baltimore’s defense is too good at this point to let the Bills do much offensively and the Bills defense can only do so much to mitigate the damage. 2018 gets off to an ugly start. Prediction: Ravens 20, Bills 9. Sabres/Bills fan who clearly doesn't know any better. I type words and thangs; very few of them ever make sense.